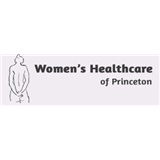 Women's Healthcare of Princeton (Princeton) - Book Appointment Online! Dr. Sophocles understands the physical issues women face from their teens through post-menopause. "Women of any age want a physician they can trust," Dr. Sophocles says. "I spend time with my patients so they can share intimate issues and complex problems." Wonderful bedside manner. Thorough. Answered all questions. Excellent visit. Very helpful, personable, and reassuring; answered my questions and made sure I felt comfortable. Dr. Sophocles is smart and communicative and positive. She always makes me feel good that I am there, even if I haven't been strict about yearly visits. She is direct and helpful and always gives options about a course of action. She is personable and has a great staff. I would highly recommend her to anyone. Dr. Mathews was very professional and knowledgeable. She made me feel comfortable and answered all my questions and didn't rush me to get to the next patient. I am fortunate I found this practice.